Every year at around this time, I sit at my laptop and ponder what I am going to bring to my holiday parties to blow everyone away. Each year I come up with some complicated, over the moon recipe and I spend days perfecting it. Only to have it be served to some rather inebriated guests who at this point would consider an Oreo a delicacy. So this year I somehow stumbled upon my recipe of choice completely on accident. A few years ago, I brought over some homemade truffles to a New Year’s Eve party along with 2 cakes, some moon pies and a few cupcakes. Needless to say, those truffles were never eaten and therefore wasted. 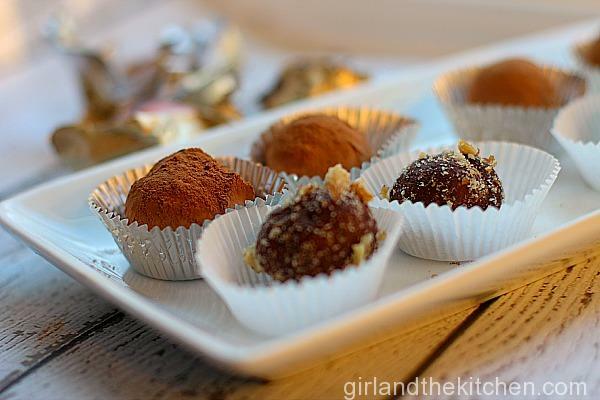 So this year I decided to recreate these delicious truffles, except with one simple addition: hazelnut butter. Hazelnut butter is my version of homemade Nutella. Except, if you can imagine, it tastes even better than Nutella. This creation actually was born out of laziness and necessity. I had just come back from the store in the middle of a very snowy day, when I realized I had no more nutella left. It was an impossibility for me to run out to the store, because my exhausted 1 year old had already been 30 minutes into her well deserved nap. So I managed to find some hazelnuts in my pantry and decided to give this whole nut butter thing a shot. My hazelnut butter is a simple blend of roasted hazelnuts, some sugar, half and half and dutch cocoa powder. It is then whizzed away in my trusty Vitamix and a few spins of the sharp blade later, I had creamy and velvety hazelnut butter. One taste and I knew my laziness was actually a blessing in disguise. The roasted hazelnuts gave a much deeper and richer flavor to the butter. And combined with the silkiness of the half and half I was in hazelnut heaven. The best part about this recipe is that it is truly simple. The hazelnut butter is combined with melted bittersweet chocolate and cream cheese. 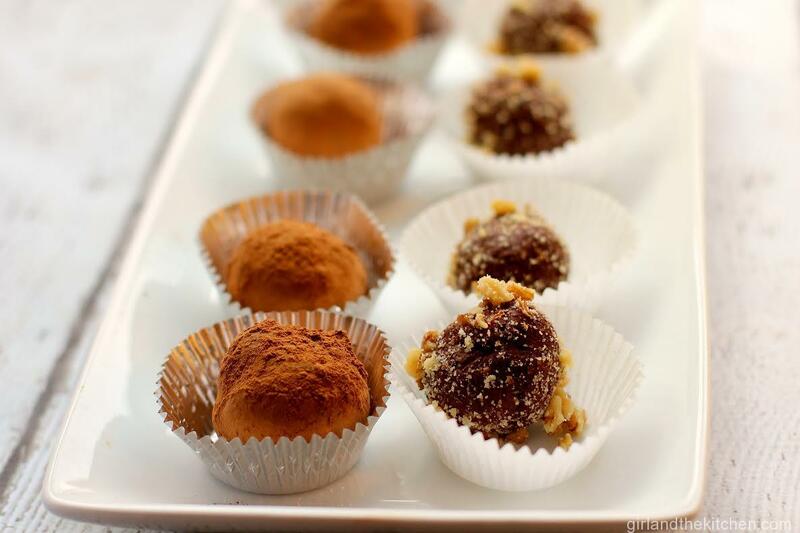 A few tosses in some toppings in the end – truffles are done. 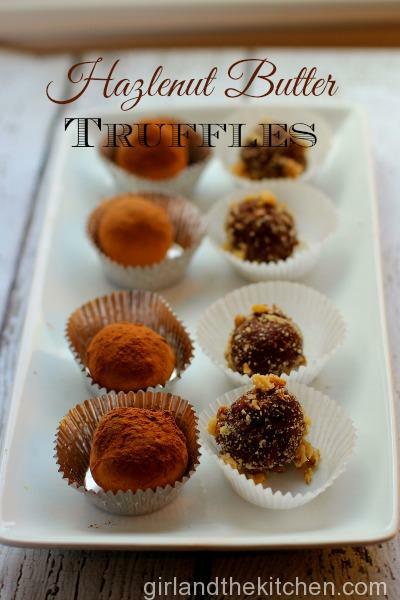 And you can bet that these truffles will not be left sitting alone at some sad buffet table. 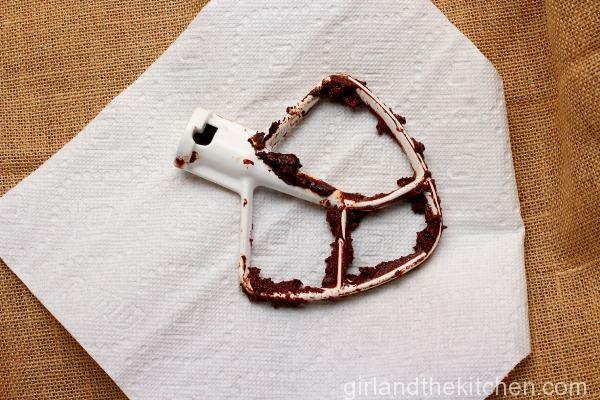 Melt your chocolate. Once chocolate has melted, add hazelnut butter to the chocolate and melt for about 30 seconds more so everything is nicely combined. In the meantime start beating your cream cheese with a stand or hand mixer so it gets nice and fluffy. Add the chocolate mixture to the cream cheese and beat just until combined. Feel free to lick the paddle…I did. Lay mixture out on a sheet pan and refrigerate for two hours. Any less and it will be too soft. Any more and it will be too hard. 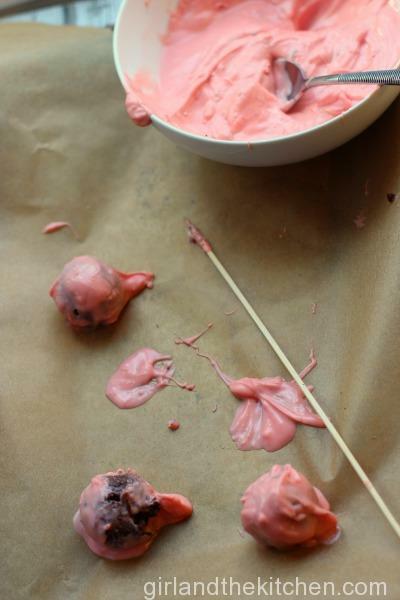 Use a spoon or a melon baller to get tablespoon size pieces of the chocolate mixture. Roll them into balls. Feel free to dip into your favorite toppings like cocoa. 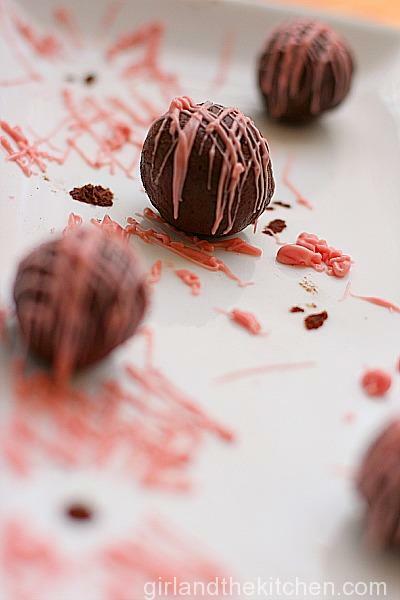 Or you can make fun looking swirls on your truffles by taking your candy melts or your ganache and making a make shift pastry bag out of a zip lock bag. Just snip the tip in one of the edges and you are good! Weeeee look how cute they are! 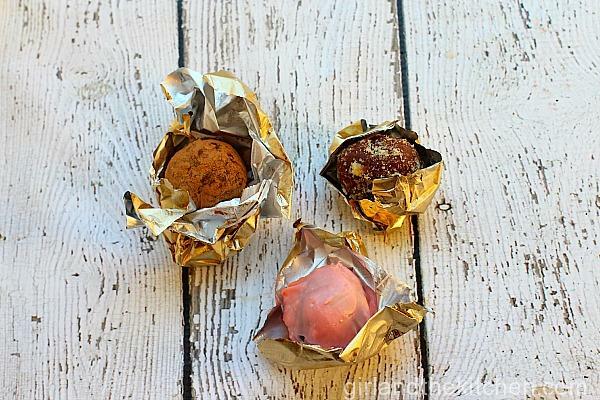 Now you can use little mini muffin papers to place them in and make them look all fancy. 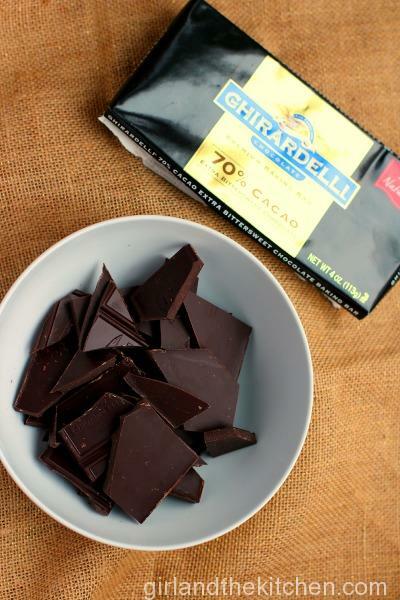 Or you can use some old wrappers from chocolate bars laying around. Either way…they are pretty fabulous aren’t they? 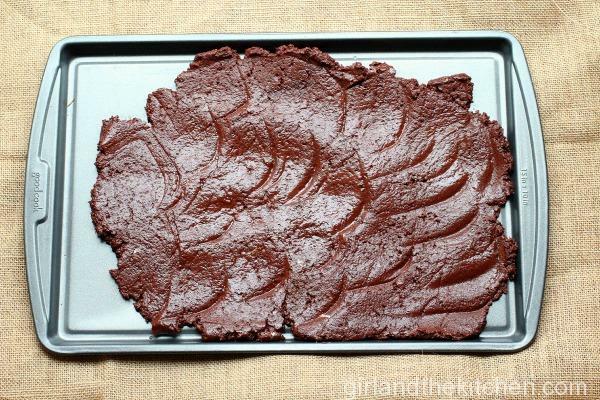 Melt chocolate in the microwave or double broiler. If using the microwave, melt the chocolate in 30 second increments, ensuring to mix the chocolate every 30 seconds to prevent it from burning. In the meantime, whip cream cheese on high in a mixer so it is nice and fluffy. Add melted chocolate and hazlenut butter to cream cheese and mix until well combined. 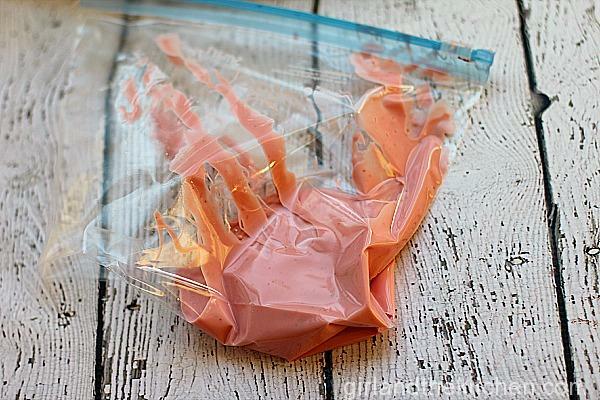 Spread onto a baking sheet and refridgerate for two hours. 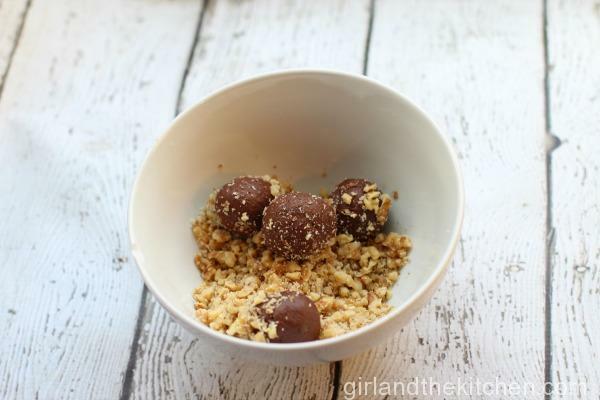 Using a spoon or small ice cream scoop, gather the chocolate mix and roll in your hands to create a small ball. 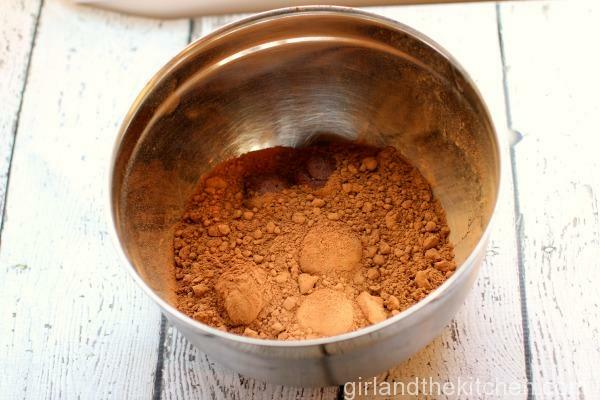 Dip in crushed nuts, cocoa powder, melted chocolate or sprinkles. Place into freezer and remove an hour before serving.